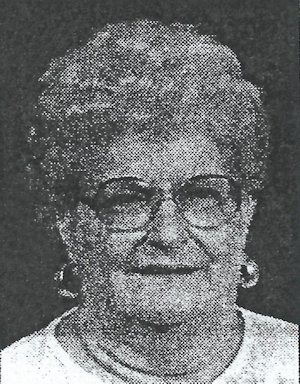 Obituary – Frazier, Iola May (Lee) « Perry High School Alumni Association, Inc.
﻿Iola Lee Frazier, 75, died Thursday, May 25, 2000, at her Stillwater home. Services will be Saturday at 2 p.m. at Strode Chapel. Interment will follow at Sunset Memorial Gardens. Arrangements are under the direction of Strode Funeral Home. She was born in Ponca City on Oct. 9. 1924, to Randolph and Muriel May (Pray) Lee. She married William Don Frazier on Aug. 13, 1944, in Augusta, Ga.
Mrs. Frazier attended public schools in Oklahoma and graduated from Perry High School. She also attended Pineville Junior College in Louisiana, and Phillips University. She was past president of the Stillwater Golf Association and Past Matron of Eastern Star in Hinton. While she put her husband through college she was a secretary For more than 20 years she served as an election precinct inspector and was a Mother Advisor for the Rainbow Girls Association. She was a member of Sunnybrook Christian Church. She was an avid bowler and, during her life, bowled in three leagues. Early in her life she enjoyed knitting and crocheting. Survivors include her husband of the home, two daughters, Suzanne Lee Thomasson, of Stillwater, and Cheri Lynn Hall and her husband. Denver, also of Stillwater; four grandchildren, Bryan Hall and his wife, Molly, of Ft. Carson, Colo., Donald Thomasson, Virginia Gertiser, and Donella Carroll and her husband, Jason, all of Stillwater; two great-granddaughters; and three great-grandsons.